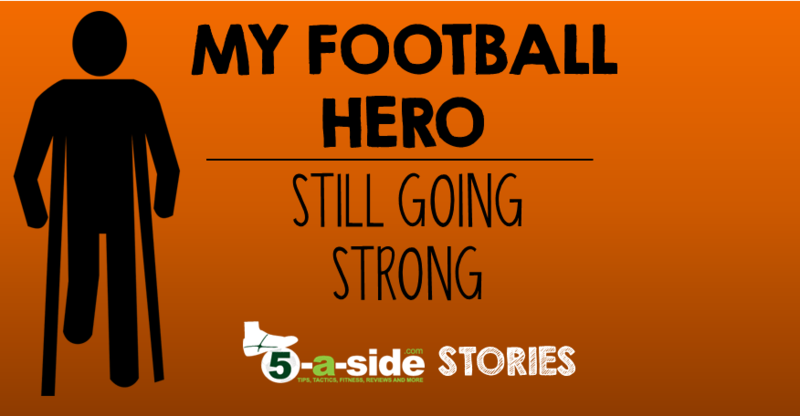 A while back, I wrote a post titled Am I Too Old for 5-a-side. It was a real success, and an article that brought a fair few of the older players out of the shadows and sharing their experiences of getting on the with the game whilst no longer being in our physical prime. Since then I chatted with somebody who shared with me a story that follows on beautifully for that article. This article first appeared footballmemories.org.uk, which collects together football memories to support Alzeheimers Scotland – a commendable charity. This story originally appeared at http://www.footballmemories.org.uk/memories/clubs/6-playing/43-martin-greig-freelance-sport-writer/ and has been reproduced with the consent of the author. Clontarf FC started around 45 years ago. Founded by my uncles and their friends, they soon flourished into one of the best amateur teams in Scotland, regularly contending for silverware. Not that it was about trophies. Friendship was always at its core. My dad played against Clontarf – named after a small village outside Dublin where my uncles holidayed every year – for a rival amateur team when he was in his early twenties. This was before he met my mum, so he did not know any of his future in-laws. During the match, he went in for a tackle with Clontarf’s centre-half. It was a robust but fair challenge and the centre-half came off worst, ending up with a broken ankle. A while after, my dad met my mum for the first time in a Glasgow dance hall. After a couple of dates, he was invited back to the family home. As he walked in, my uncles stared at him in horror. As introductions go, it was hardly auspicious, but my dad’s charm soon won them over and he ended up as Clontarf’s midfield general (retreating further and further back after he had children!) for the next 15 years. Clontarf’s training night was every Tuesday. It still is. 45 years later, we meet in a gym hall in the west end of Glasgow. The youth system has been fruitful. Myself and a sprinkling of cousins and friends have helped lower the average age significantly over the past 20 years. Last year, our oldest player, Pete McCall, hung up his boots. In doing so, he passed the mantle on to my dad. My dad is 66, looks 56 and plays like he is 26. He runs like the wind, tackles like a terrier and has added more and more finesse to his game as he has grown older. He is fitter than most men half his age as my cousins and friends, who are often left puffing in his wake, will happily testify. People seem incredulous when they hear that my dad still plays. I used to be bemused by their surprise, but I have grown to appreciate that it is exceptional. He is exceptional – and not just on the football field. Every Tuesday night, I take a moment, just a few seconds, to step back from the action and marvel at my old man. I can’t pick out one moment because he produces them every week. Sometimes it is an audacious flick, a slide-rule pass, a crunching tackle or occasionally a rap across the back of the ankles when a young tyro thinks he can get the better of him. They never do. They never will. Some people have the chance to meet their heroes, maybe even spend some time in their company. I play football with mine every Tuesday night. Anyone got a story as inspirational as that? Who has made the difference to your footballing outlook? Share it in the comments below… extra credit for anyone who has got an unusual answer.